The In Training Do Not Distract Jacket comes in 5 sizes and will fit nearly any dog. 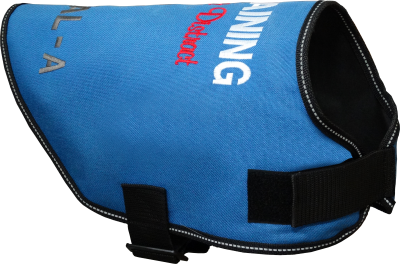 This is a great feature for those who are training all ages and sizes of dogs. You can have a 3rd line of text embroidered free of charge with your own custom text, up to 12 characters. Additionally, you can choose a thread color for each line of text. 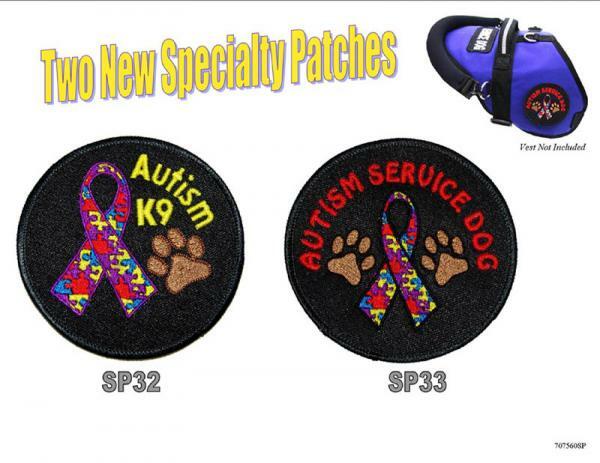 Fits dogs of all ages and sizes. The In Training Do Not Distract Jacket does not come with any patches.